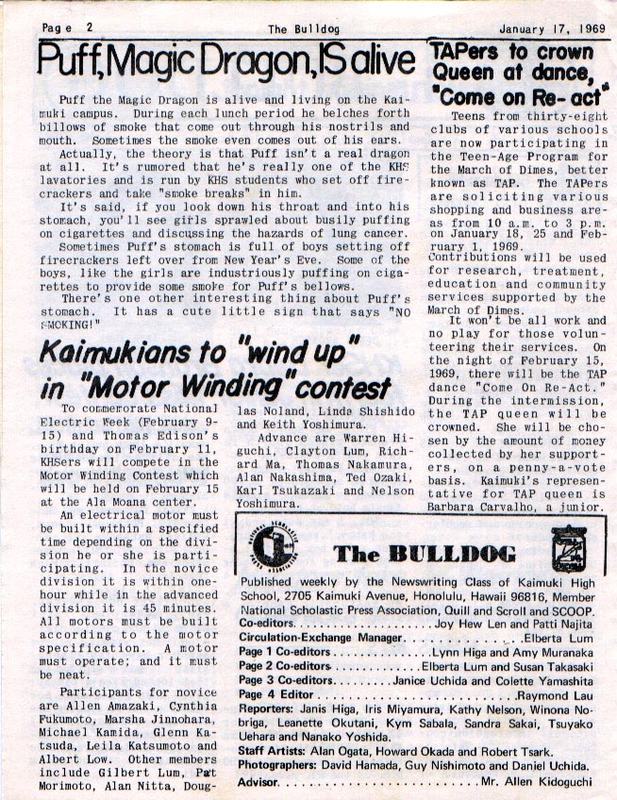 Kaimuki High School Class of 1969 - A Blast From the Past! 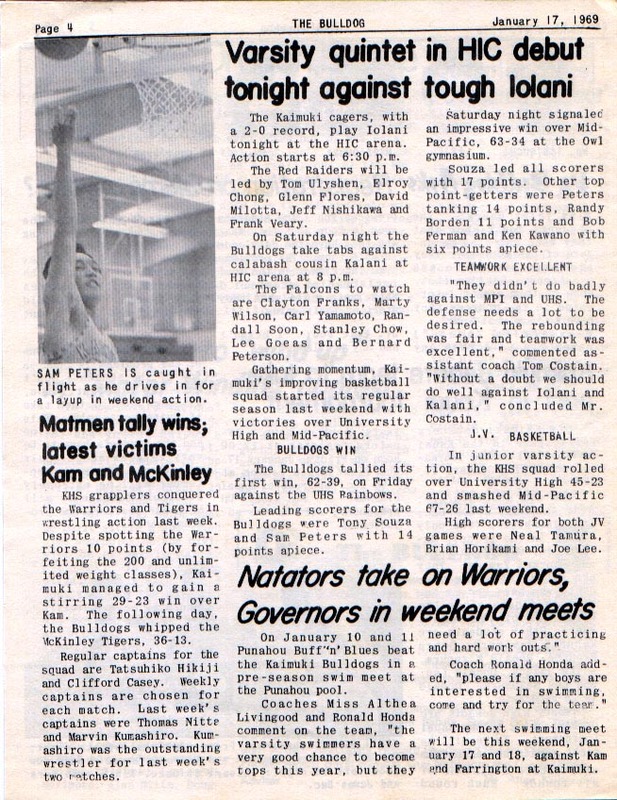 We will be filling this page with fun and nostalgic information from our Class of '69 archives. Make sure you check back here often for a stroll down memory lane! 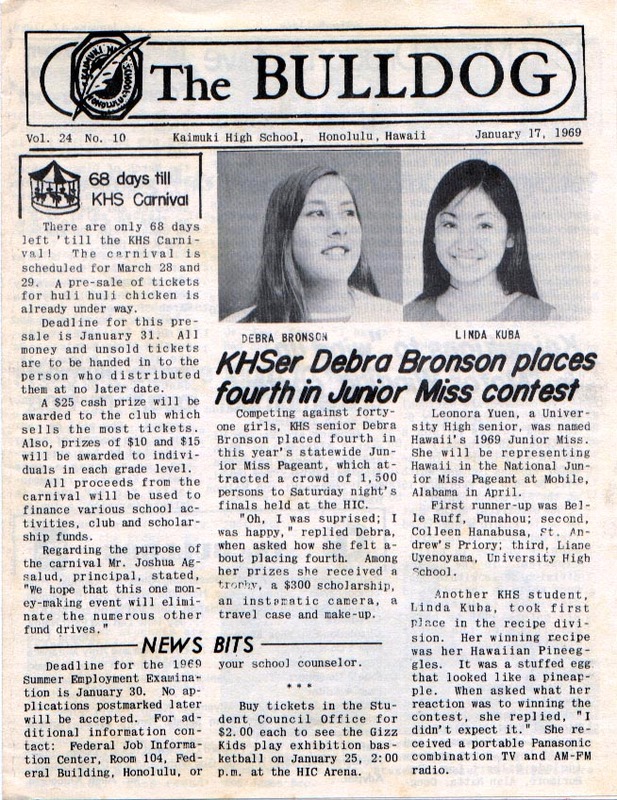 Read this issue of The Bulldog and find out what was a Hawaiian Pineggle. 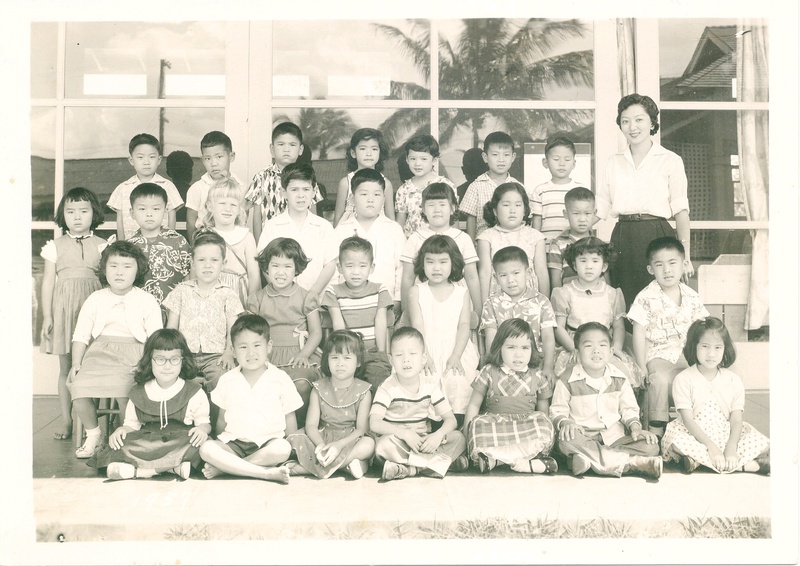 Gregory You sent us this picture of his kindergarten class at Aliiolani. 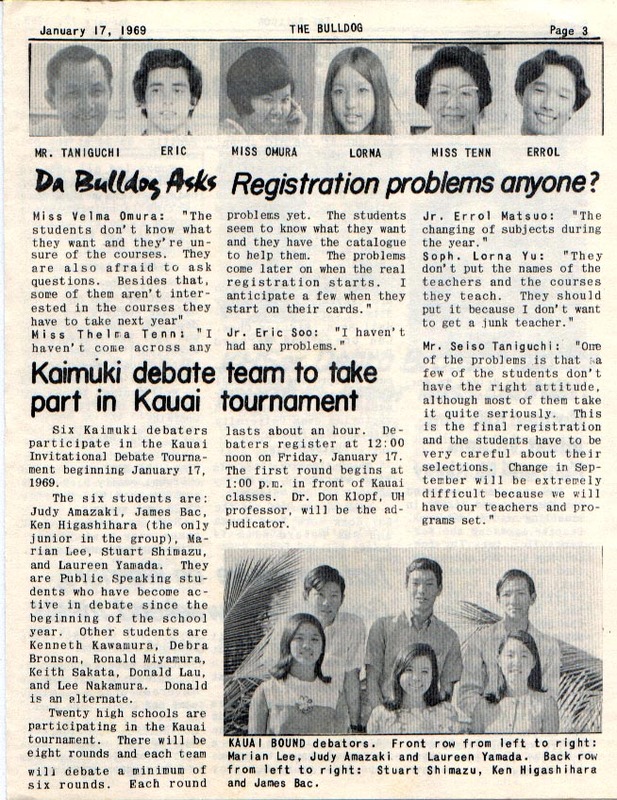 If you are in the photo, write us at info@kaimuki1969.com and identify yourself and we will post it here. Do you have some great memories you would like to share with your classmates? How about a long-lost picture of high school days? Send them to us via email and we will post them here for everyone to enjoy!